YouTube is a very big video sharing platform where you can view videos that you like to watch. There are lots of videos in YouTube that you can stream anytime you want let it be informative, travel, music video, comedy, vlogs and much more. Actually, YouTube is the only platform which you can open at night and relax watching your favorite video after a harsh day at work. YouTube has been released publicly for more than 12 years and now Google have come up with many updates that you have probably seen and one of them is if the YouTube Dark themes. This feature is loved by many, as it is really a relief for those who stream YouTube the most at night. So in this article we will share you the methods for how to enable YouTube dark themes in Chrome, Firefox and Safari browser. If you have updated YouTube then you might have seen that there are many changes made in these few days. There are so many options now in YouTube and the best part is that every categories are having much more videos which is properly stuffed. You can search any kind of video and start streaming different videos of the same category for hours without breaking. Coming to the point, there are different methods that you can follow in order to enable YouTube dark themes in your Chrome, Firefox and Safari browser. 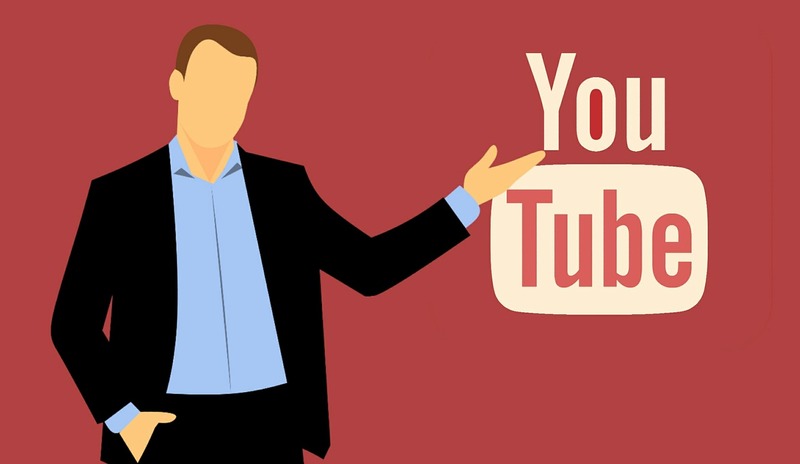 Let’s have a look at the methods that you will need to follow to change the themes of YouTube. Dark theme is literally a relief who works with their device the whole day long, as they while streaming YouTube at night they will feel relief on their eye. So let’s have a look at how to change to YouTube dark theme in your Chrome browser. First of all, you will need to upgrade your Chrome browser to the latest version. To update your Chrome browser click on the MENU icon of the Chrome. Then click on the Settings option and then go to the Chrome update page. And then check if you are having any updates, then update the Chrome browser to the latest one. After updating your Chrome browser, now enter YouTube website and then login with your Gmail. After entering your Email on YouTube, click on the profile icon and you will see lots of menu. SO simply click on the Dark Theme. Then simply enable the button, you will see that the dark theme will be enabled on your YouTube account. So this is all you need to do to switch from normal YouTube background to the YouTube dark themes. The steps are very simple, you simply need to update the browser to the latest version and then sign in YouTube and some few clicks and you are all ready to go. But after changing YouTube themes you can also reverse it following the below given steps. Simply click on your YouTube account icon. Again click on the Dark theme option from the drop down menu bar. Now disable the Dark theme features on your YouTube and you are all done. To update dark theme mode of your YouTube on any of the Firefox version you will need to follow the following steps. Now refresh the YouTube tab and you will be able to see that YouTube theme have changed to Dark theme. If you are not seeing the ultimate result then you can clear the cookies of your browser because most of the time cookies bring the issue of unable to change to YouTube dark theme. So these are the way you need to follow to switch YouTube dark theme on your Firefox browser. Follow the simple steps and enter a command and you are all done with dark theme. Well if you want to enable dark themes on your safari browser then there is only one way you can do it and it is similar to the way you do it in your chrome browser. In safari browser you will not be able to use codes to switch to dark theme of YouTube. So let’s have a look at the steps that you need to follow if you want to enable Dark themes on your Safari browser. Open your Safari browser and then check whether you are having any updates or not. If you are having then you will need to update your Safari browser to the latest one. After updating your browser, enter to the YouTube webpage and then login with your email on YouTube. This will show you another option, simply enable the button and you will see that your YouTube account have been switched to dark themes. Once you are done, you are all set to go. So these are the steps that you need to follow to switch your YouTube to dark themes. The steps are very simple, it is the same as you have done with your chrome browser. When the dark theme for YouTube was first introduced by Google, it was only launched for YouTube web page. But with time and some few more bug fix Google has now brought the Dark theme features of YouTube even on your mobile app. So here we will also share you about the steps to switch YouTube dark theme even on your mobile app. First of all, open the YouTube app on your iOS device and then sign in. Simply click on the Theme option and you will see options popping up on your phone screen. It will be selected to “Light” by default, so simply select “Dark” option and then finally your YouTube theme is changed. So this are all the steps that you need to follow to change YouTube theme to dark theme on your mobile phone. But note that you can only change theme on your iOS device, as this features is not yet available for your Android devices. If you want to change the theme on your Android device too then you will need to again use Chrome browser on your Android device. These are all the methods that you are to follow to change YouTube dark themes on Chrome, Firefox, and Safari browser and also on your iOS device. As said above the dark theme a feature of the YouTube is not yet enabled for your Android device. The steps are very simple, no need to enter multiple codes in your CMD window, some few clicks on your browser and you are all ready to go. So this is all about the methods for how to enable YouTube dark themes on Chrome, Firefox and Safari browsers.